Supports healthy skin and hair, healthy immune system, joint flexibility, brain, nervous system, healthy lungs. Great for kids and adults. 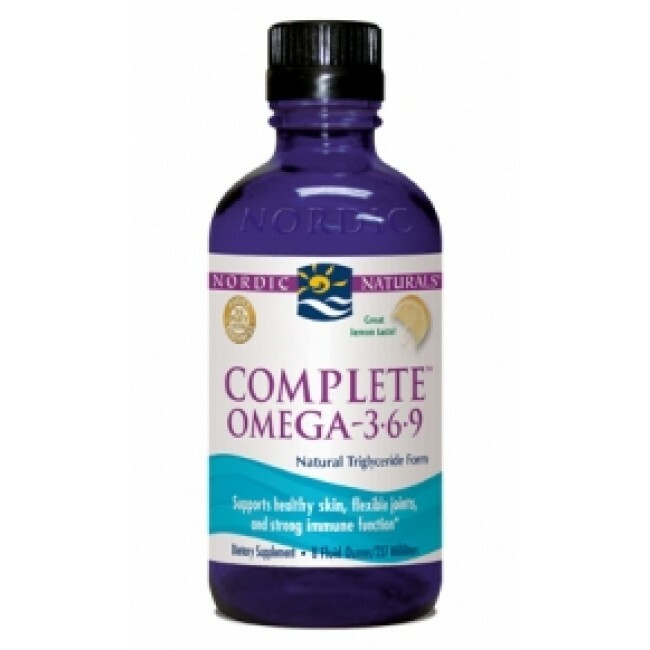 Nordic Naturals Complete Omega 3-6-9 contains a balance of 3s, 6s, and 9s to support healthy skin and hair, healthy immune system, joint flexibility, brain, nervous system, and healthy lungs. Great for kids and adults especially when eating mono or limited foods in ones diet.